The vast majority of the flatworms you will see in your tank are beneficial, or at least harmless, to your tank "ecosystem." However, there are a few flatworms that some aquarists consider, rightly or wrongly, "pests." One of the most common types of such flatworms are the "brown rust flatworms." This is not an actual classification of worm, but a common collective term for a group of similar looking/behaving brown colored flat worms which some aquarists find annoying. 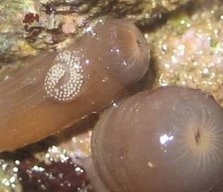 The two most common genera finding their species in this group are Convolutriloba (also sometimes called "red flatworms") and Waminoa (both genera are Acoels). The Waminoa sp. tend to be commensal organisms that live only on corals while the Convolutriloba sp. will usually live and grow on just about every available surface. For some aquarists, these flatworms become a nuisance when they reproduce to the point that they cover every surface in the tank (including corals). Though they do not eat coral, at some point, it's possible that those growing on the corals could reduce available light to those corals. They're much more an aesthetic problem than anything else. They will take advantage of a tank with excess nutrients. And while not necessarily doing any real harm, massive numbers of them can become a bit unsightly. If your flatworm population becomes intolerable, there are some products which are effective at killing these worms. However, mass dying off of the flatworms is likely to cause a toxicity problem. Not to mention, you might also kill off all your beneficial flatworms as well. Therefore, it's better to first try to control the problem with reduced feeding and manual removal. If you have a Convolutribola problem, cease any feeding of Artemia (brine shrimp). If you do use a product to kill the flat worms, it's a good idea to try to remove as many of the dead worms as possible. The Acropora-eating flatworms (often abbreviated to "AEF") are more truly a pest by anyone's definition of the word. 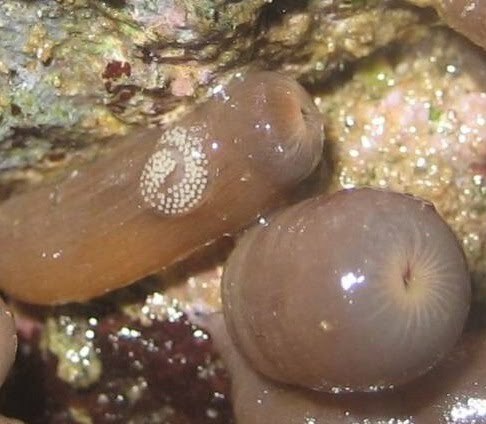 As the name implies, these flatworms prey on corals in the genus Acropora. 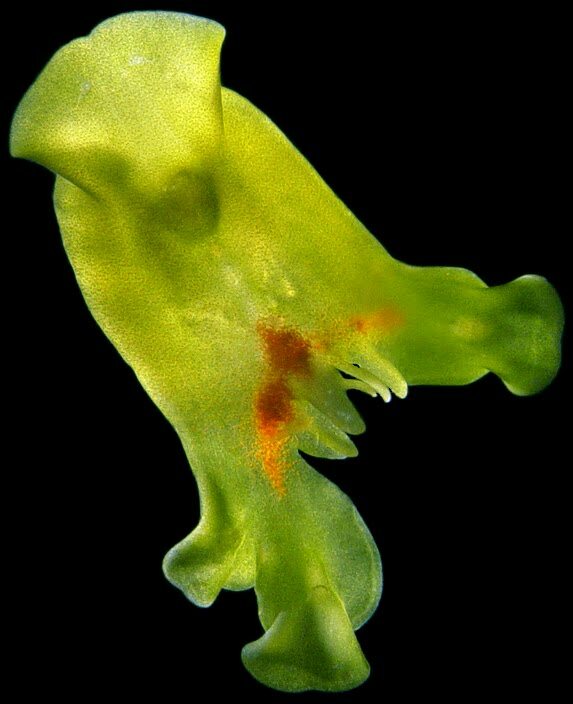 They are generally a bit smaller than the brown rust flatworms and much more difficult to see. 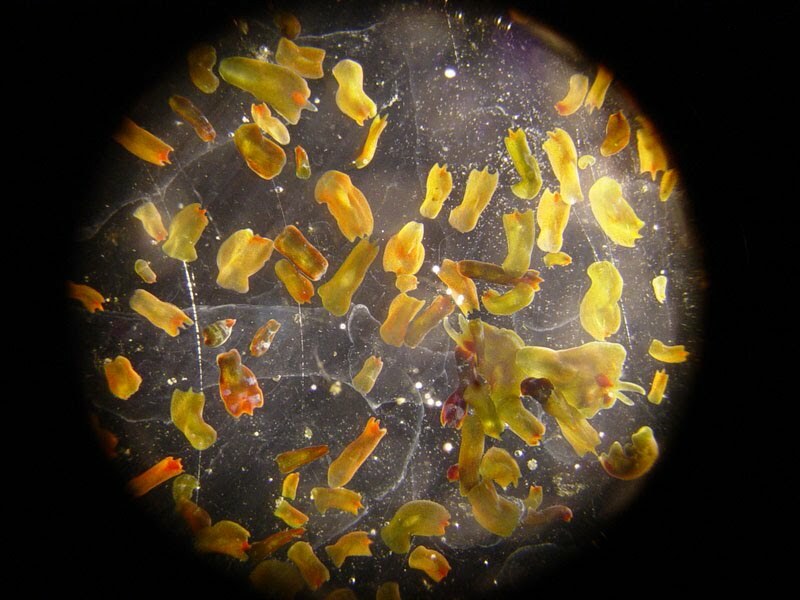 Sometimes the pattern of dying tissue is easier to identify than the actual worms. 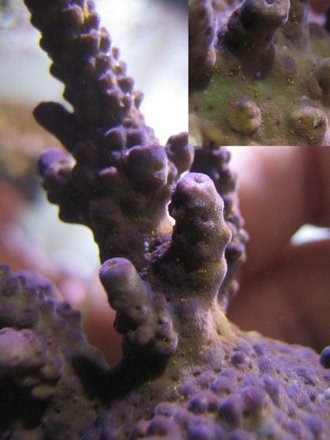 Their gold-ish colored eggs can usually be seen at the base of an infected coral. Any coral you suspect to be infected with these flatworms should be quarantined IMMEDIATELY. Unfortunately, there's no known "cure" for these flatworms yet. However, some aquarists have been able to save their infected corals by quarantining them and doing everything possible to kill and manually remove as many of the eggs and worms as possible. Some aquarists experiment with different chemicals and products to try and kill the worms. If you do this, do so in a quarantine tank just in case something you try kills more than just flat worms. If the coral is otherwise healthy, sometimes it can overcome an infection with help. 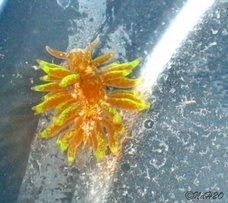 Many (but certainly not all) species of nudibranches and/or sea slugs eat coral. Most of these eat only one species (or a few similar species) of stony or soft coral. They come in all shapes and sizes and some are more annoying than others. To get an idea of just how diverse this group of animals is, visit The Slug Forum. Hermaphroditic, coral-eating nudibranches can quickly and easily multiply and destroy an entire coral colony. 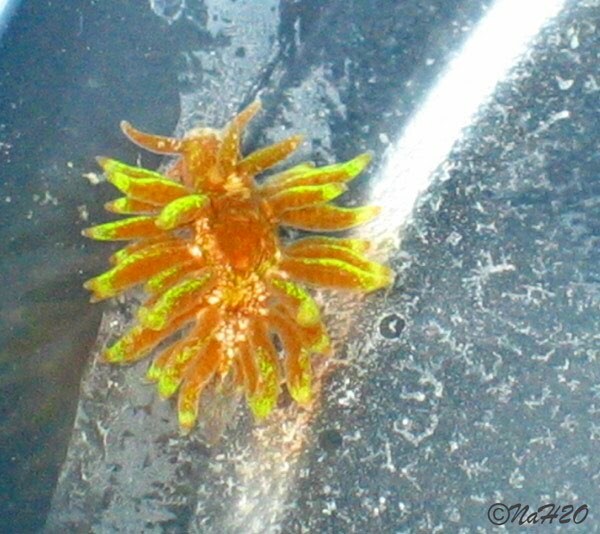 If you see a nudibranch on your coral and you suspect it is eating the coral, remove it. Unfortunately, this may not be the end of your problem since there could be others (or there could be eggs). If possible, removing and quarantining the coral to watch for more slugs is usually a good idea. There's some thought that certain types of wrasses and other marine fish might eat some predatory nudibranches (and/or undesired flatworms). However, there's no guarantee that any one wrasse (or other fish) will eat the kind of nudibranch (or worm) that might be bothering you. Or, even if it did, it might not eat enough of them to be effective. Usually the only thing you can do to get rid of undesired nudibranches is to quarantine the affected coral and try to manually remove as many adults and eggs as you can. Montipora-eating nudibranches (never abbreviated to "MEN") can be devastating to Montipora species. Any coral you suspect of being infected with Montipora-eating nudibranches should be IMMEDIATELY quarantined. Unfortunately, there's no known cure. However, just recently, Mitch Carl reported to have had some success using a praziquintal bath to kill the adult nudibranches. Praziquintal baths, along with quarantining and diligent manual removal of eggs, might help save the coral. Also know as Tegastes acroporanus, "red bugs" are a predatory micro-crustacean (type of copepod). 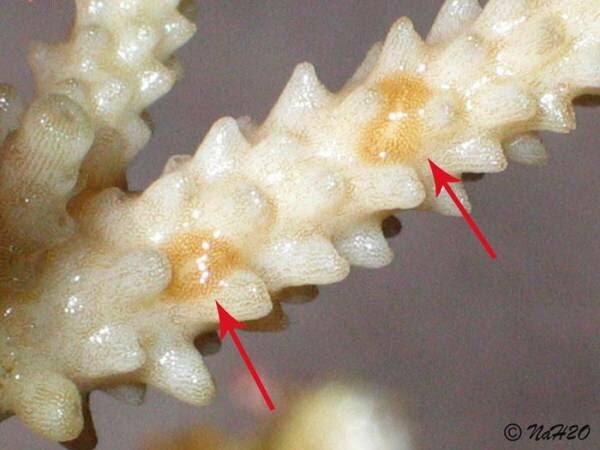 They are specific to corals in the genus Acropora. left photo by Jonathan Steljes, above photo by Nikki W.
Poor polyp extension, lose of coloration and over all coral decline may be signs of a red bug infection. 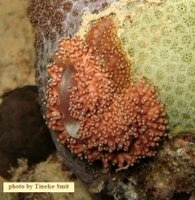 When latched onto a coral, red bugs are extremely hard to remove. Iodine dips might help a little, but don't usually solve the problem. 1) First, quarantine all of your shrimps and crustaceans. If you can, take out collections of amphipods as well (but only if you can get them alone, i.e. not attached to rocks or algae). Leave all your normal equipment on (i.e. don't turn off any pumps or filters or disconnect any refugiums or sumps). The only thing you'll want to turn off and remove during treatment is any carbon filtration. 2) Each Interceptor pill (for large dogs) contains approximately 23mg of Milbemycin oxime. The problem is that you only want to dose about ~0.639mg of Milbemycin oxime per every 10g of tank water. Therefore, each tablet would treat ~380g of tank water. If you have one of those very expensive electronic scales (the kind chemists and drug dealers use), then you could measure out exactly 0.025g (or 25mg) of crushed pill powder which would contain very nearly 0.639mg of Milbemycin oxime. This would be the safest way to go. However, if you don't have such a scale, you could try to figure out the total fraction of the pill you will need. For example, if you have 190g of tank water, you would need half a pill, 95g of tank water will need 1/4 a pill, etc. Since it's hard to halve (and/or quarter) pills, measure out what you need after you've crushed a whole pill to a fine powder. Note that your aquarium's actual volume of water is different from the aquarium's size. Try to remember how much live rock and sand you put in your tank and do your best to determine their collective volume. Then subtract that from the tank(s) size (in gallons). Remember to also consider all connected tanks, refugiums, sumps, etc. 3) After 6 hours, change out AT LEAST 25% of the tank water and run as much new activated carbon as you possibly can. After 24 hours, do another 24% water change and change the carbon. Note: There's no need to freak out if the bugs are still clinging on to your coral after the first treatment. They can cling onto surfaces for some time even after they're dead. 4) Repeat steps 1) through 3) at least 2 more times. Though most of the adults will die after the first treatment, the eggs and/or juveniles may survive one treatment. This is why it's recommended to do at least 3 treatments to make sure that all the life stages are killed. 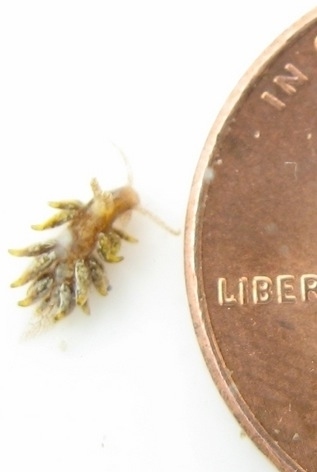 4) You can reintroduce your crustaceans 24 hours after the last step of the last treatment (i.e. after you've done your last water change and carbon run). Remember not to add ANY of the water you saved them in. Add only them back to the treated tank. If you're not sure if it's safe yet, you could first add back one of the amphipods you saved as a test. That may sound a bit cruel, but just tell the little guy he's taking one for the team. Chances are, if you did everything went according to plan, he'll be fine and you can add all your crustaceans back safely. WARNING: As previously mentioned, the use of this drug in aquariums is a relatively new idea and is not fully understood. The long term effects are unknown. The effects (either short term or long term) of overdosing are also unknown. The effects on other invertebrates is also largely unknown. Just because it doesn't appear to kill snails and other inverts, that doesn't mean it doesn't effect them in some way. It could sterilize some invertebrates, shorten their life spans, drive them mental... no one knows for sure. Or, it could have no effect at all. We just don't know yet. Bottom line, this is one of those things you do AT YOUR OWN RISK. 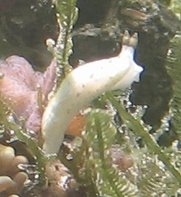 There are a few coral-eating snails commonly appearing in aquariums. Most prey on soft corals. Probably the most well know of these is the sundial snail (or box snail) of the genus Heliacus. These snails are notorious for feeding on zoanthids. They typically have pretty shells that are round and usually smaller than a pea. They may or may not become a problem. Depending on the snail species, number of snails and the corals involved, predation can range in severity from hardly noticeable to devastating. Quarantine of the coral and manual removal of the snails is the best treatment (if the snails become a problem). This is a coral disease that is almost exclusively found in aquariums. As its name suggests, this disease appears as a brown, jelly-like substance on the suffer of the coral. 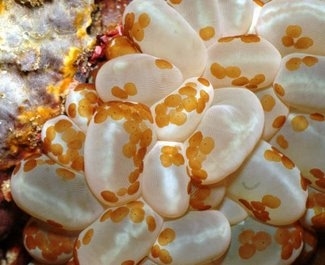 It's also described as a light-brown colored slim or ooze "floating" above or around the coral. The jelly is thought to be a mix of dying coral tissue, bacteria, protozoans and possibly other things. The specific culprit is unknown. 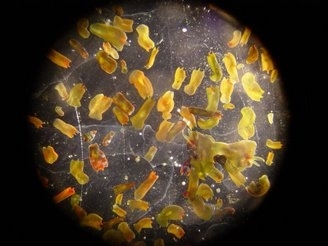 With so many different microbes present in the slime, it's hard to say which is "causing" the infection and which are just opportunists feeding on the already dying tissue. In any case, it is almost always caused by a physical injury to the coral. It moves quickly and can kill a coral with in a few days or weeks. 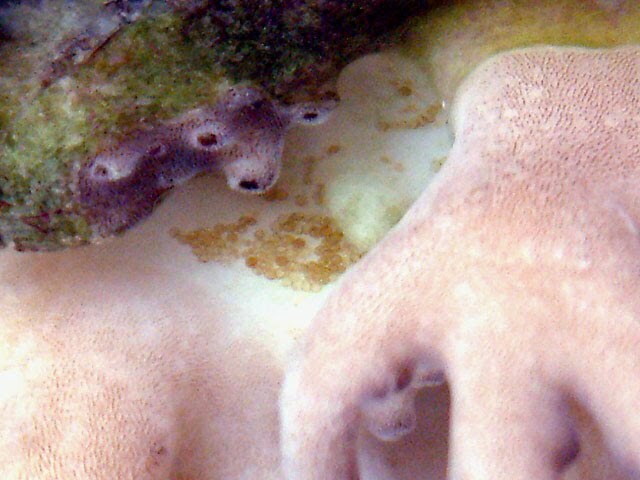 Simply put, brown jelly disease for a coral is analogous to a badly infected wound in any other animal. If the disease has just started and the infection is small, the best treatment is high water flow and at least daily cleaning of the infected area (usually done with a turkey baster). 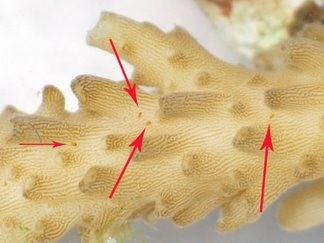 If the disease is severe, the infected part of the coral may need to be cut ("fragged") off of the colony. The choice to quarantine is up to you, but brown jelly is not usually contagious (unless you have other injured corals in the tank). If your other corals are healthy, they will likely resist infection even in the presence of an infected coral. This disease appears as a black band of microbial mat. This microbial mat is a black, mucus-like, about 1mm to 7cm wide and only approximately 1mm thick. The band leaves behind an exposed, dead coral skeleton. The microbial mat is actually a mix of synergistically functioning bacteria. Basically, these bacteria work together to suffocate, kill and consume the coral's tissue. Most unfortunately, this disease progresses quite rapidly, progressing up to 1 cm/day. 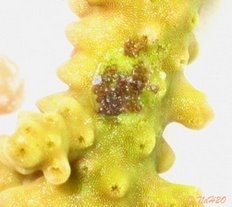 If possible, an infected coral should be fragmented immediately such that all of the dead coral and all of the disease band (and probably ~1/4 inch of healthy tissue in from the band) is removed. Fortunately, for whatever reason, it doesn't seem to be all that common in aquariums. For more information and photos, please visit NOAA's webpage on black band disease. Though sometimes referred to as if it were a disease, RTN is not a disease. It is only what its name implies, rapid tissue death. This is when, for any variety of reasons, a coral's tissue begins to rapidly die off (usually leaving the entire coral dead within a few days if not a few hours). Once it starts, RTN is nearly impossible to stop, especially when the cause is unknown. Sometimes a sudden and drastic shift in tank parameters (such as temperature, salinity, pH, etc...) can cause RTN. IMMEDIATELY remove any coral you suspect to be suffering from RTN. 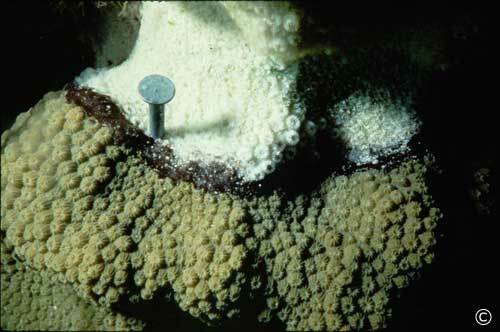 Though it's not known what causes RTN, it has been shown to spread to other corals. This could be because it is caused by an infectious agent. Or, it could be that when one coral dies so rapidly, a significant amount of toxic chemicals are released into the water causing other corals to start dying (a kind of chain reaction). Unfortunately, many aquarists do not properly feed their corals. Slow tissues recession/death is often a sign of starvation. 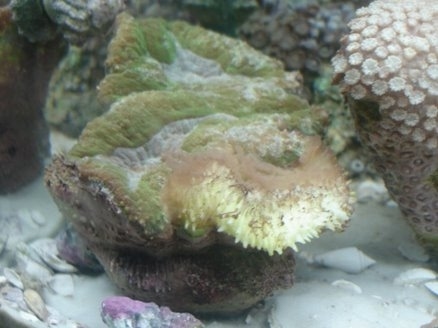 If you suspect that your coral is starving, please see Coral Care for information on feeding your particular coral. Most corals, particularly wild caught colonies, suffer considerable stress before arriving at your local aquarium store and into your tanks. Inappropriate and/or highly unstable tank parameters, excessive handling/falling/moving, and unfriendly tank neighbors are some common causes of stress. 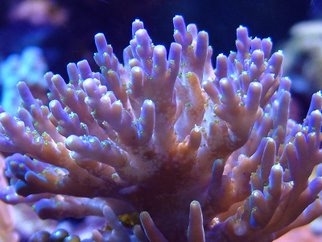 Stress can lead to slower tissue recession, poor polyp expansion, slowed growth or just an overall decline in coral health. When severe, stress can cause RTN.